A craze partially ignited by the famed Paranormal Activity in 2007, the supernatural horror genre has a seen a huge increase in popularity and demand, with 2012 being one of many recent years where a large number of such films have been churned out to hungry audiences: The Woman in Black, The Devil Inside, The Pact, Paranormal Activity 4....and, following the conventional path of exorcisms, The Possession - based on a true story (very loosely, I imagine) about a family subjected to the terrors of a malevolent demon. 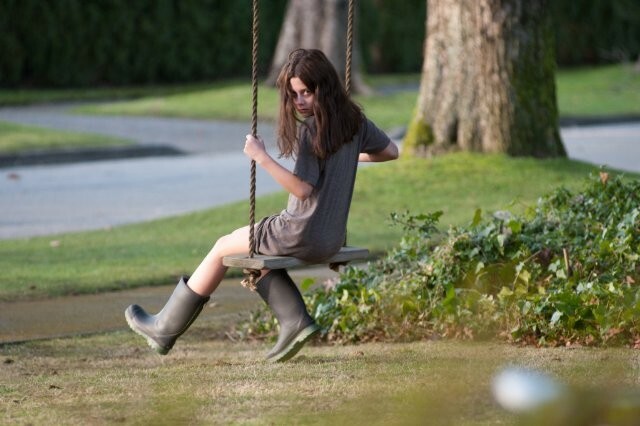 The Possession adopts all the conventions of it's genre to a T, making it a highly predictable fare and one that is devoid of any true surprises. It may provide a good scare every so often, but these spaced out moments are not enough to endorse the bloated length and lack of interesting content - sure, it's only around 85 minutes, but the first hour or so can be such an immense bore that the film loses steam before it even reaches it's climactic finale. It may have the likeable characters and polished sound design/visuals to redeem it from some of the flaws, but to say that it sometimes drags is a vast understatement. 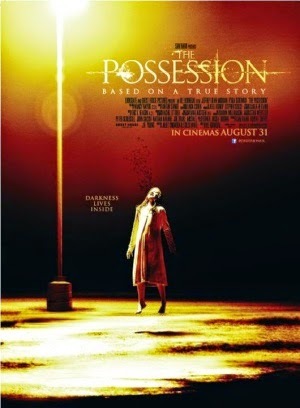 The acting is mostly impressive, with Jeffrey Dean Morgan providing one of the most solid and interesting performances in the film, and newcomer Natasha Calis perfectly exemplifying the insane and monstrous qualities adopted when under the influence of her possession. Aside from this, the cast is a gathering of uninteresting cardboard cutouts, with Clyde's ex-wife Stephanie demonstrating severe idiocy and uselessness throughout, and Em's sister Hannah (Madison Davenport) just being irritating beyond belief.